When I was down in Leicester for a girls weekend at the end of March my friend Alex made these fab wee chocolate mushrooms. 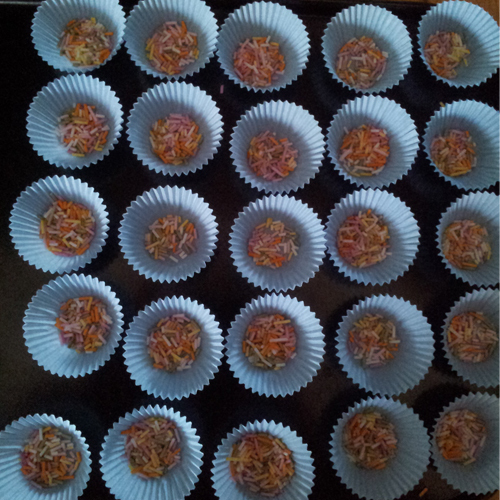 I recreated them for Himself's 30th last weekend and have renamed them "Alex's Mushrooms." 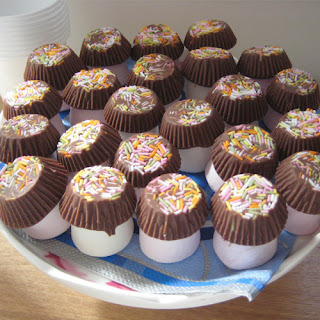 They are such a quick and easy treat to make and are perfect to make if you have little kids. Start by melting your chocolate either in a bowl over a pan of hot water or in the microwave. If microwaving do it in 30sec bursts cos it can burn very quickly! 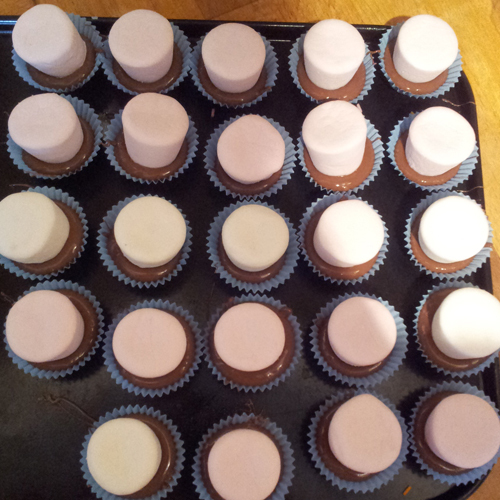 Once the chocolate has melted pour a teaspoon of it into each case a lightly press a marshmallow on top. Repeat this process until all the marshmallows/chocolate are used up. Pop in the fridge for a few hours to set. Once set peel away the paper cases, turn the mushrooms upside down and voila - adorable chocolate mushrooms perfect for any celebration or if you just fancy something sweet!